Jonathan Engineered Solutions is a leading expert in linear motion and access solutions especially regarding undermount slide applications. 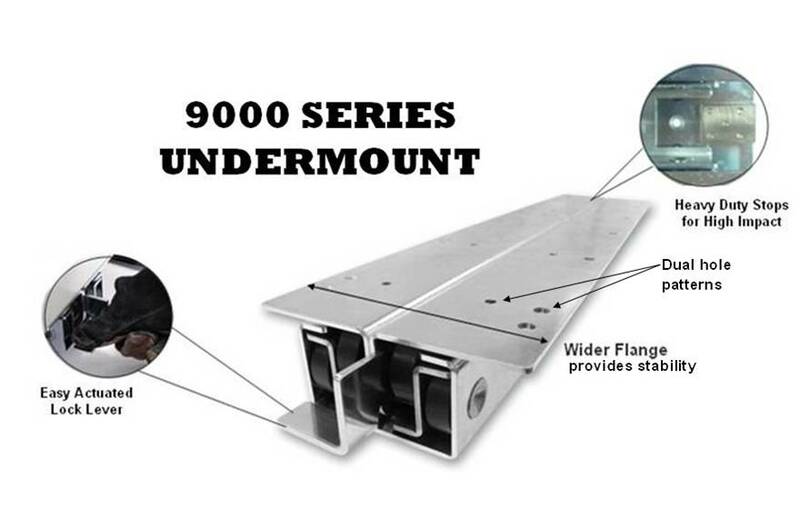 JES introduces a new heavy duty undermount slide series: The 9000 Series. 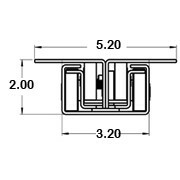 The 9000 series is a full extension undermount slide and is available with many new unique features in both construction and performance. Heavy duty rollers, high impact in-stops and out-stops, convenient lock operation, full extension travel, and disconnect of the drawer member, all blend themselves to handle high loading in a small overall footprint. The JES 9000 series slides are available in 4 standard configurations: 9000 without locking feature, the 9000L with positive lock open, the 9000LC with positive lock closed, and the 9000LLC with both positive lock closed and lock open. The JES 9000 Undermount Model provides a wide upper flange to further stabilize load application, offers an increased number of available mounting hole locations for hardware installation, and gives a stable platform to either direct mounted or indirect mounted applications. 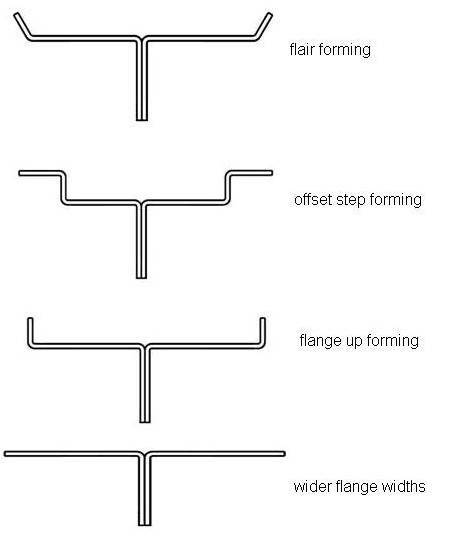 Standard lengths are available starting at 12 inches in 2 inch increments. Custom configurations are welcome and additional information may be obtained by contacting either a local JES representative, the JES web-site www.jonathanengr.com, or JES factory direct. Lengths, travels, hole locations, value added fasteners, top flange shape, alternate finishes, are just some of the available options JES can provide to meet your exact application or requirement. Modifications to the basic JES 9000 series have been proven to meet a wide range of conditions such as high cycle, salt spray resistance, resistance to numerous chemicals and fluids, withstands transportation vehicle induced shock and vibration, and have proven to meet both indoor and outdoor installations. 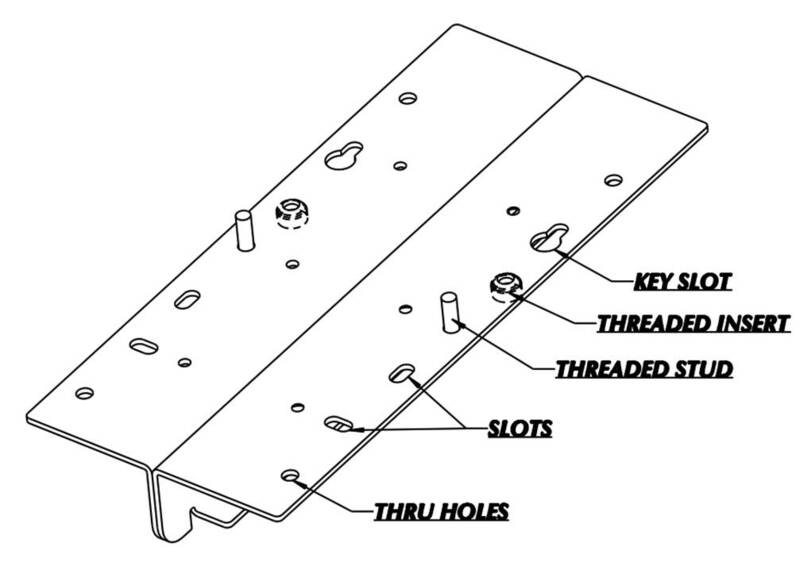 Load rating up to 800 pounds per pair / 400 pounds per slide.